In other words, who would want the hassle of dealing with a U.S. citizen? U.S. citizens in Europe are having trouble getting banking services. The Canadian Bankers Association has suggested that Canadian banks may cease dealing with U.S. citizens. Non-U.S. citizens are reluctant to enter into any kind of arrangement with U.S. citizens (who wants the IRS around?). I predict that U.S. citizens will have difficulty getting accounting services (and possibly legal services). Why would any tax prep person want the hassle of dealing with a U.S. citizen? I don’t blame them. U.S. citizenship is a problem that needs to be solved – and a big problem it is! – Tax Planning and Dual Citizenship – how can you reconcile the IRS and Canada Revenue Agency? Finally, this doesn’t address the problem of the past. If there are any people with past compliance issues (taxes and FBARs) you might take a look at this post about the IRS Fact Sheet for U.S. Citizens and dual citizens living outside the United States. It is clear that the primary obligation of U.S. citizenship to fill out forms. You will probably have to devote the next few months to this task. What is the value of U.S. citizenship? Well, I guess you get the protection of the U.S. government (or do you need protection from the U.S. government?). There are only two groups of people who can survive this tyranny of the U.S. government (assuming you want to) – the very rich, and the very poor with very few assets that require reporting (note that it is NOT just being poor). For the average middle class type who is is concerned with retirement planning, the situation is hopeless. You are owned “lock, stock and barrel” by the IRS. 1. 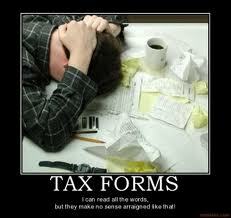 Spend all your time on IRS compliance issues. 2. Renounce U.S. citizenship and rejoice! Oh I suspect that tax accountants will be quite willing to help US citizens with their taxes, but they will do so in the same way that they currently do – ie, they will charge a hefty fee for preparing the return, but they will then turn it over to the client who will sign it and send it in as their own work. This will of necessity be a black market because of the IRS requirement as in number 1 above. The client will benefit from whatever expertise the accountant has, but will bear the legal liability for errors. This is a common arrangement up till now and there is no reason it will disappear. It is “buyer beware”, ie the client will have to look carefully at the return and question the preparer about anything that is puzzling, but it is better than flying blind. I have at least found an accountant who is experienced with all this compliance stff but wonder if within a couple years it will become harder because they will reach a saturation point. On the other hand, it will no doubt be a growing field for those brave enough to take it on. I would imagine that prices will surge over the next couple years then gradually level out or even drop as more accountants enter this growing field. It is daunting now but with a few tax seasons under their belts, the currently obscure reporting forms could well become household names amongst expats and accidental Americans. For those who stoically keep their US citizenship, they’ll gradually adapt to this additional expence when budgeting. C’est la vie. But let’s hope forums like this will result in enough push-back that they’ll decide to make compliance simpler, even if just to save the trees! The obvious problem I see is that the accountants, advisors and attorneys have a vested interest to keep the status quo. Great summary! To my utter horror I recently found out that this applies to Green Card holders as well. My spouse is not a U.S. citizen or a Green holder. He has two engineering degrees, an MBA and is bi-lingual. I only recently realized what an enormous sacrifice it would be on his part if I asked him to move to the U.S. Thanks commented on this in a post today in which I actually quoted a post from a fabulous blog in France.